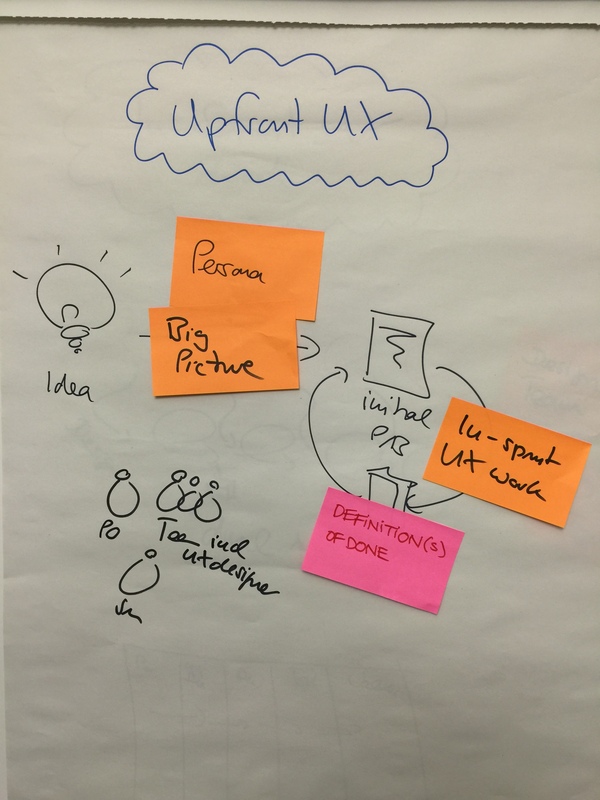 This course was on offer from Learning Connexions and was addressing the issue of where the user experience of a project fits into an agile deliver project. Roman started the training by getting us to split into areas depending on role, then splitting up on agile experience. He then highlighting that there would be no slides but that we would create the agenda with the topics we wanted to cover, grouping these into categories and prioritising them on a backlog. 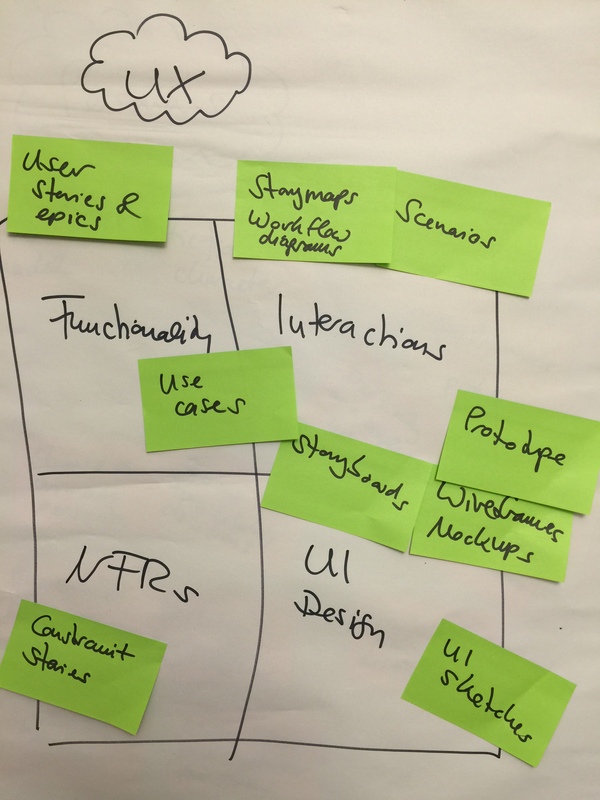 The functionality, interactions, NFRs and User Interaction Design. 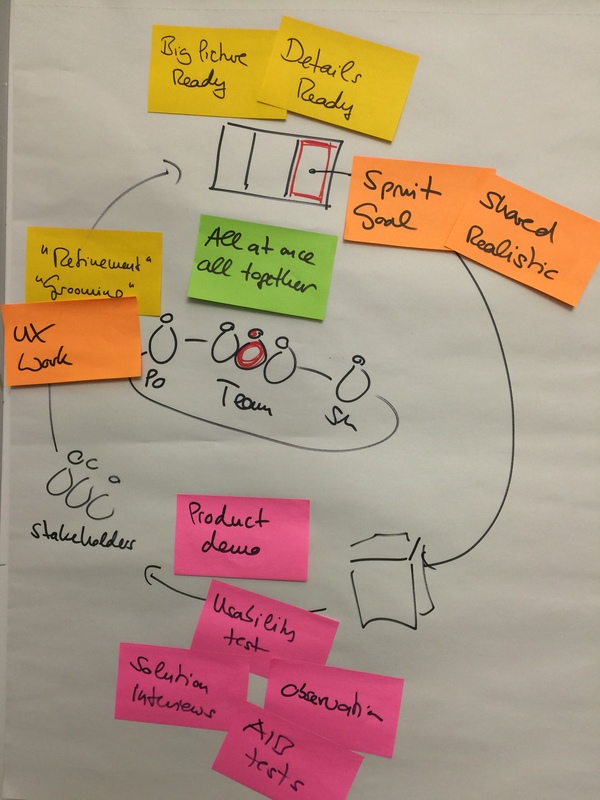 Companies have moved to an agile way of delivering, when you look up agile in the dictionary it means to move quickly and easily and people hope by optimising the process software delivery can be a painless process, where the product is fully utilised. 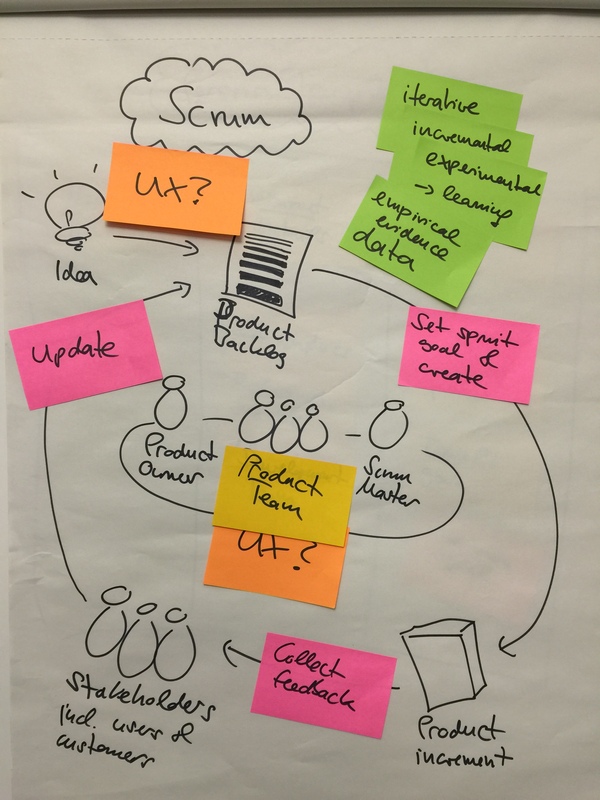 Scrum is just one of the agile methodologies that can be used. It is a cyclical, iterative process, that is incremental, which facilitates experimentation and learning. It allows the use the empirical evidence, providing data to question intuition. 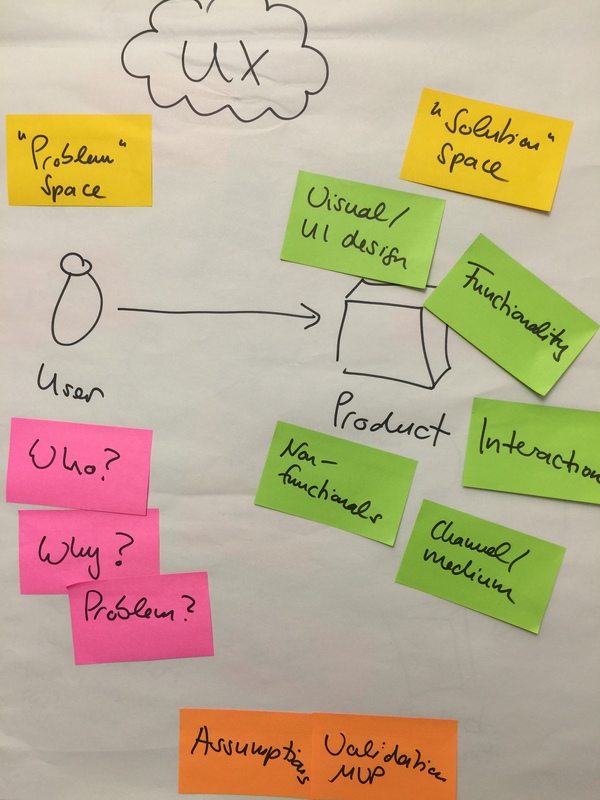 From the idea a product backlog is created by the product owner. 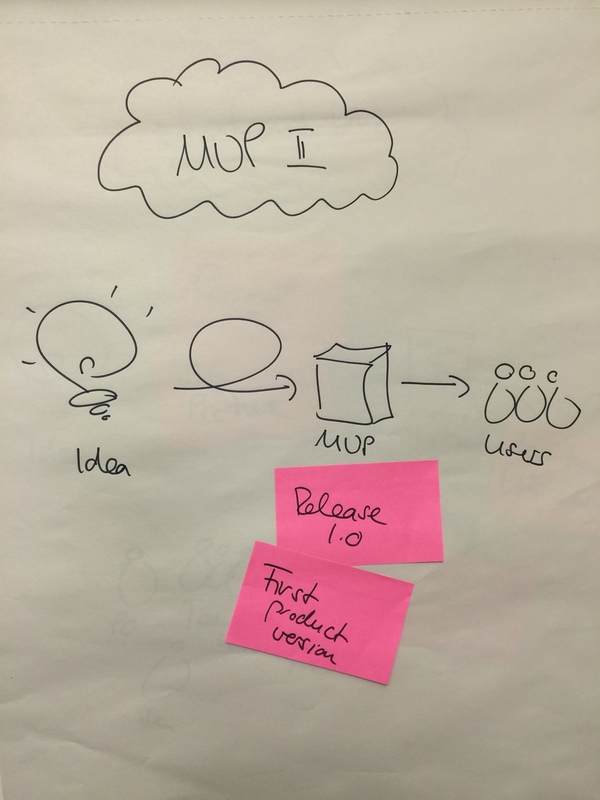 The PO work with the product team to set sprint goals and create a product increment. This increment gets feedback from the stakeholders who may be users and customers. The feedback cycle should be less than four weeks to ensure that the team is building the right thing, right. The output from the feedback is taken and analysed to add or update backlog, which is re-prioritised. If there are assumptions these can be validated with a Minimal Viable Product, which is a throwaway piece of work that can answer questions. Is there a real problem present and do we need to address it? You can get the users to do a diary study, get them to visit the website and write about the experience or do a home visits and watch the people use the site. Depending on what you are designing a competition to get the users to design the site. Goal – problem pain, benefit, goal – one main goal. 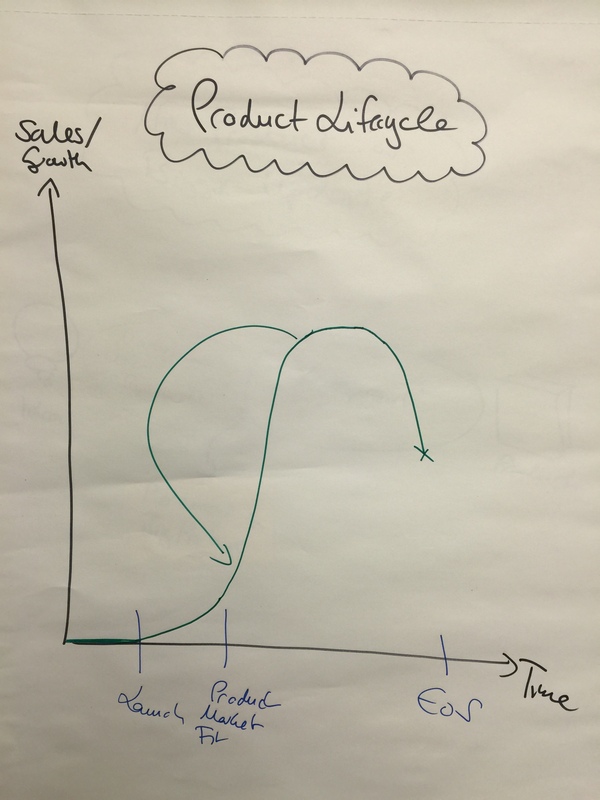 What is the real reason people are using your product? 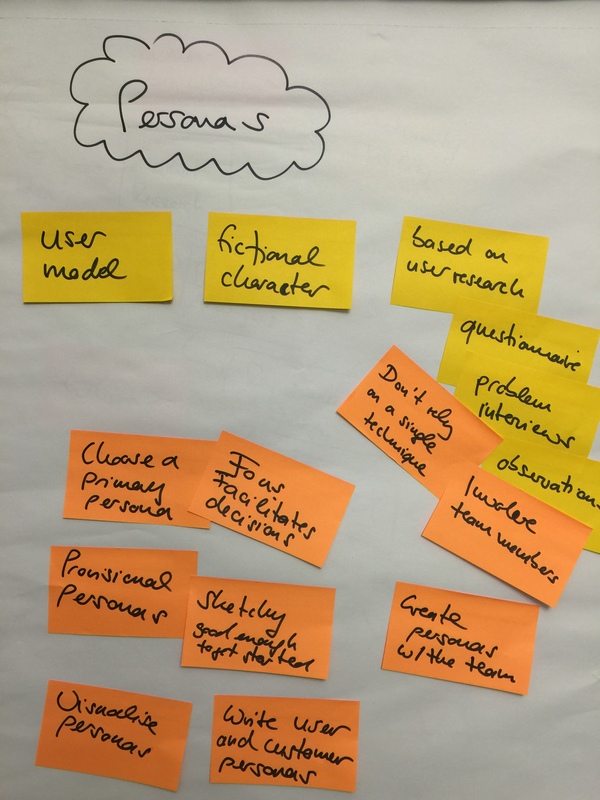 It is important to chose a primary persona – who are you building the product for, this gives you a focus and priority. This allows the creation of a specific minimal marketable feature. 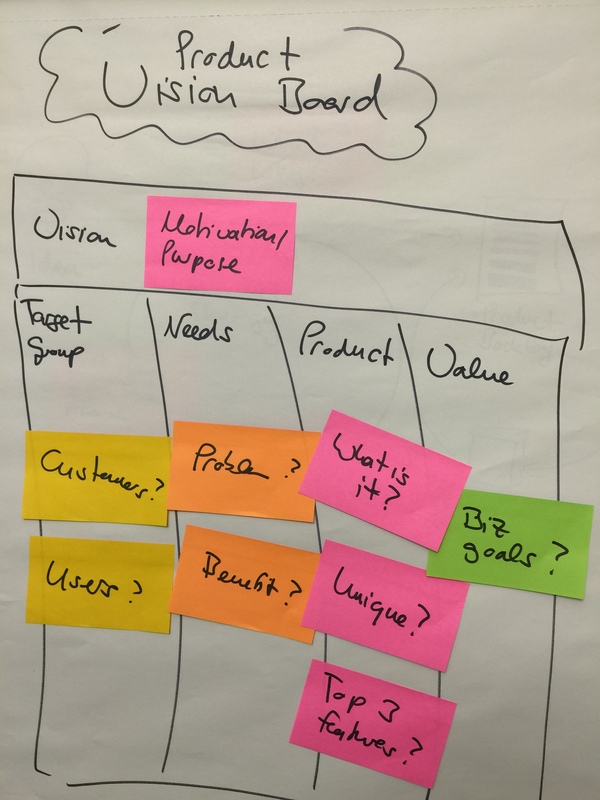 It is an idea to create a product canvas – name of the product, then the goal (benefit) and the metrics to know if the goal had been achieved. Who is the target audience, what is the big picture (headlines sketch and drives project, holistic coarse grained) and then the product details (just enough for first sprint). 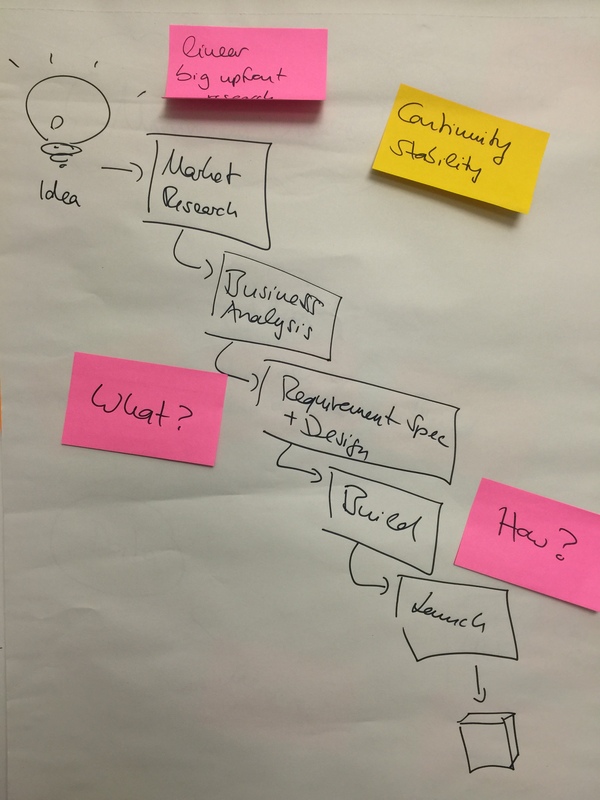 The sprint goal needs to be identified alongside the risks and any uncertainty. 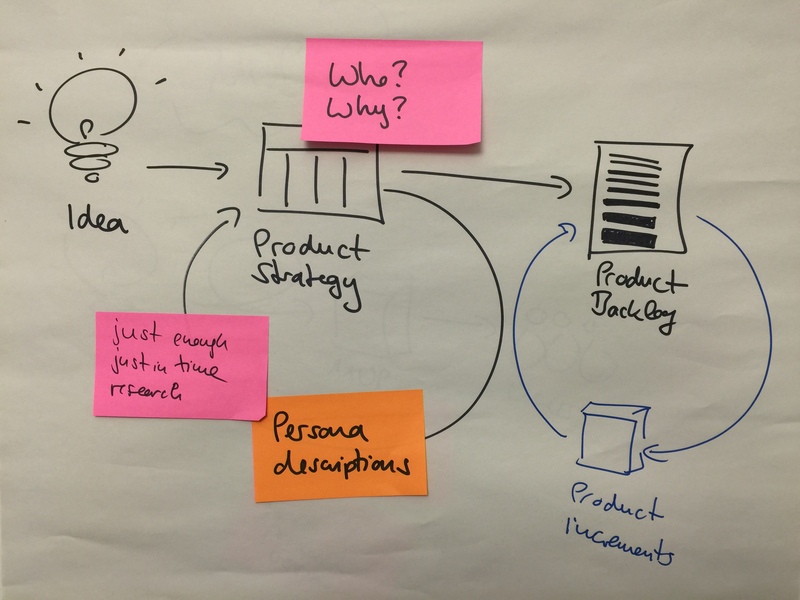 The creation of the user stories drives the sprints. Products have a natural lifecycle and unless they are continuously reviewed and improved. 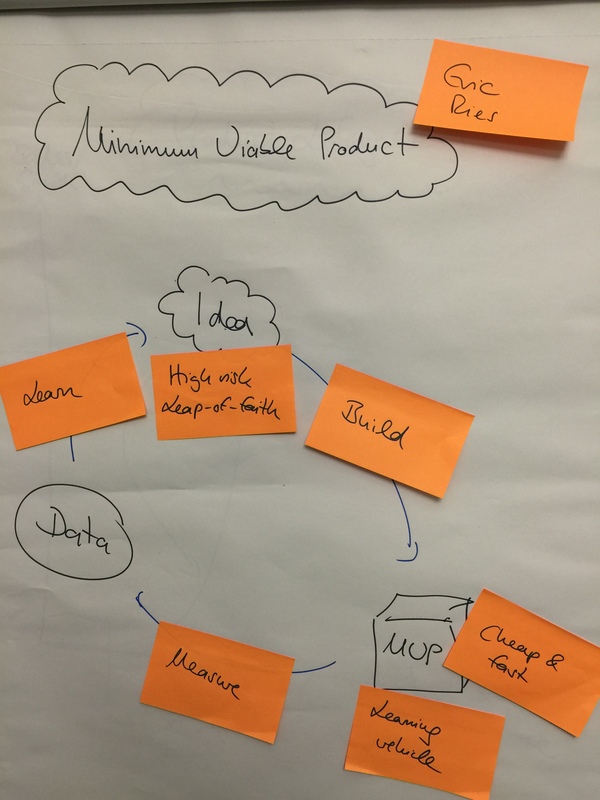 During the course we had to choose a product and go through the process of creating the product vision and the canvas. It was a useful exercise and the course gives you different ideas and techniques that can be used in project work.